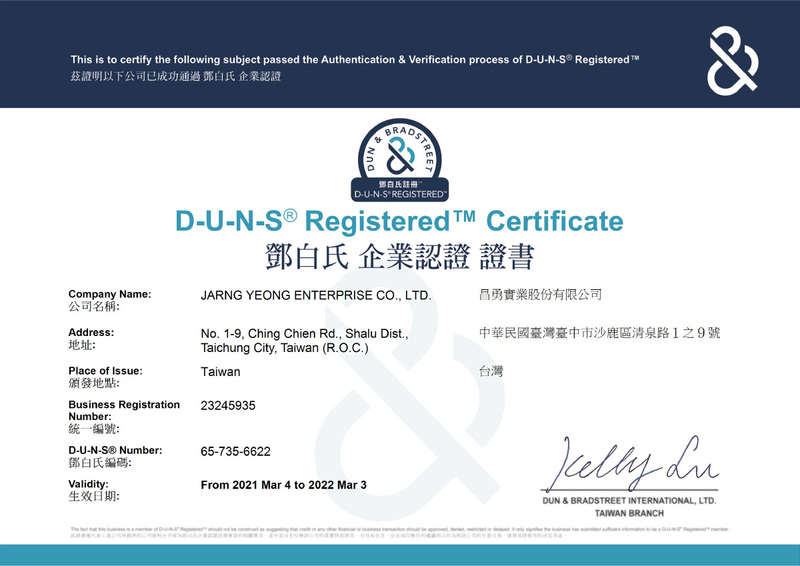 JARNG YEONG ENTERPRISE CO., LTD. was founded in 1978 which focused on auto lathe(CAM), CNC lathe and special purpose lathe. JARNG YEONG dedicates to research and develop a new generation of lathe models and builds the “GREENWAY” brand to fully satisfy customer product requirements. As the lathe processing is very extensive, can be used for steam / motorcycle parts, bathroom equipment, bicycle spare parts, aerospace / medical spare parts, agricultural sprinklers, industrial (switch) joints, hand tools and other accessories. JARNG YEONG will bring a few quality products available to different needs of customers in this exhibition: Multitasking CNC Lathe(HCP-42), Economical CNC Lathe(HC-20N & HC-30N), Dual-Spindle CNC Lathe(HCS-32B), and Multitasking CNC Lathe plus Gantry Loader(HC-30G). GREENWAY's Multitasking CNC Lathe, as the name suggests, refers to this model has a turning and milling of the composite function, can provide customers more diverse working environment. This type of bar to accommodate the diameter of Ø42mm, the standard use A2-5 spindle, optional collet or 6 "hydraulic three jaw with, there are a variety of optional accessories, such as: hydraulic / servo turret, single Shaft milling device, four-axis milling device, three-axis drilling / tapping device, multi-angle milling device. This CNC Lathe is the main processing efficiency of the economic model. This type of bar to accommodate the diameter of Ø20mm, the small size of the machine can save plant space; as the model with rail configuration, suitable for light cutting and processing speed, can greatly enhance the customer's production efficiency. This CNC Lathe has X / Z axis large trip design, span wide, compared to the market minicomputer, processing more robust and stable, easy tooling arrangement. This model of the bar to accommodate the diameter of Ø30mm, the standard use A2-4 spindle, can be used with a collet or optional 5 "hydraulic three claws. This Dual-Spindle CNC Lathe can use up to 23 tools, can simultaneously front, back processing, saving processing time. As the spindle is built with built-in motor spindle, omit the transmission mechanism, so the workpiece after the maintenance of high-precision quality requirements, but also low noise, low vibration, for the environment effort; if with a synchronous rotary guide sleeve Processing long axis objects. Industrialization 4.0 is the goal of global manufacturing efforts. To meet the automation needs of customers, this CNC lathe model can be used with door-type manipulator, adopt double-axis servo control, single-piece feeding, with high speed, high precision , For customers to improve production efficiency and quality, to achieve high-speed operation of the vision. Since Germany shouted the industrialization of the slogan of 4.0, the production of intelligent, manufacturing automation has become the focus of attention of the industry, so the future of the machine will move towards the direction of automation, improve the manufacturing industry, the dilemma of human labor shortage. 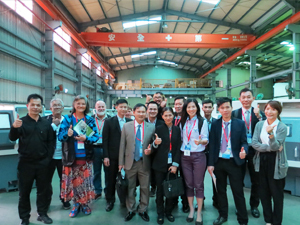 By the global green energy awareness awakening, in addition to heavy industry still need large-scale machine tools to help the future machine tool machine body size will also be towards the miniaturization of development, reduce energy use. JARNG YEONG introduced GREENWAY brand lathe, although the models are small and medium-sized, but in efficiency can reach the demands of large machines, not only significantly reduce energy efficiency, but also for customers to save the cost of buying large machines. Huang said that he believes that Chang Yong's position is in line with the growing demand for industrial tide. In addition, JARNG YEONG future development of three major projects: Project of Equipment Enhancement, Project of Brand Planning, and Project of Long-term Business. In order to accurately grasp the needs of customers, in response to the rapid and changing market demand, JARNG YEONG continued to upgrade the plant equipment, research and development of new models. The ongoing product upgrade and development plan for the HC-30 modular dedicated machine design, HCS-20B small dual-spindle CNC lathe development, and expansion of JYN-42 processing functions. With nearly 40 years of continuous efforts, JARNG YEONG builds the “GREENWAY” brand to fully satisfy customer product requirements. GREENWAY symbolizes brand-new and lively style and differs with general and previous traditional manufacture industry. In the market layout, GREENWAY will continue to deepen the Turkish and Russian markets, and the antennae towards Southeast Asia and the Middle East forward. This is already the ninth times to participate in the Taipei International Tool Fair for JARNG YEONG, and they hope to expand through the exhibition more domestic and international market opportunities, also expand GREENWAY brand awareness. It is expected that in the domestic and foreign processing and manufacturing industry wages and job recruitment difficulties and other issues, they provide automation equipment for the industry to break through the dilemma.